A most sanitary way to install bilge pumps on your Kawasaki standup! Kawasaki should have included this harness as stock!! Please send us a email to purchase. Sick of having ring terminals attached to your battery for bilge pump power? This harness will end that once and for all. 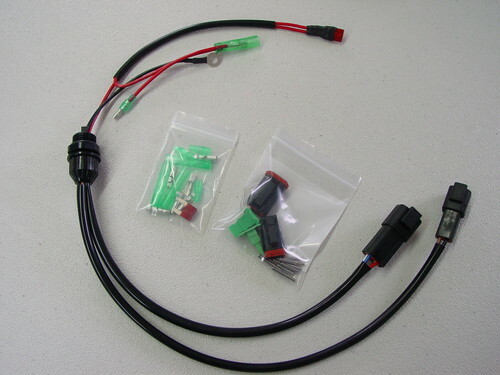 Super easy to install, built with high quality genuine Kawasaki and Deutsch parts. Mating connectors included for your switch and pumps. Will serve one or two pumps.